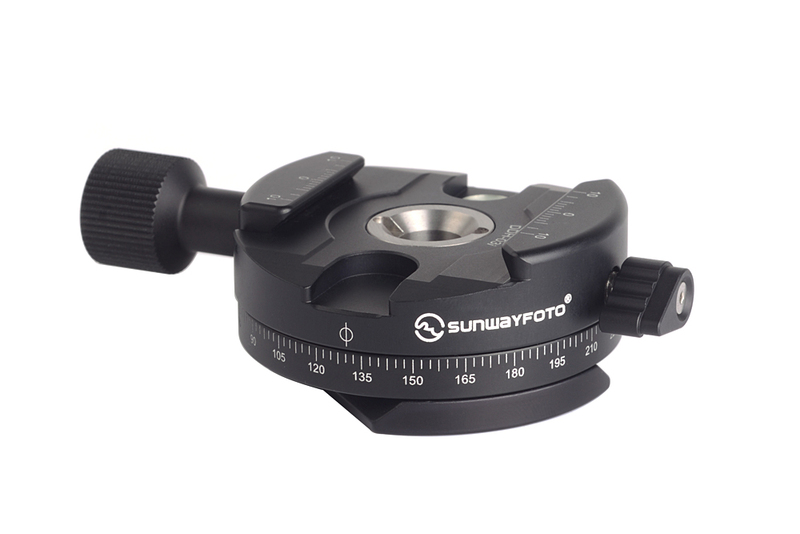 SUNWAYFOTO DDH-03i Panning Clamp, CNC cutting machine from light weight aircraft-grade aluminum, stain anodized surface finish for better abrasion and corrosion resistant. Compatible with all Arca-Swiss style plates. 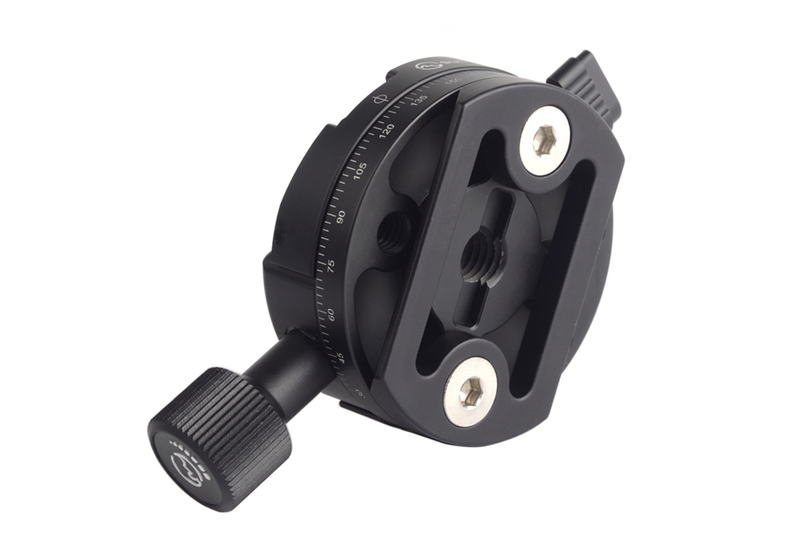 With a AM-02 ARCA-SWISS mounting plate for attaching the panning clamp to tripod head directly.